So much of the focus in SATCOM technology pertains to what goes on in outer space, but what happens down here on earth is just as important. The fact is that every satellite, no matter how advanced, is still only a part of a larger system. Today, you'll learn the important role that satellite ground stations play in making SATCOM possible, and some of the challenges (and possible solutions) for organizations working with LEO satellites on the ground. What are Satellite Ground Stations? If the name sounds self-explanatory, that’s because it is. However, it’s important to understand what exactly goes on down here on earth to fully understand how satellite systems work and how they can be improved. 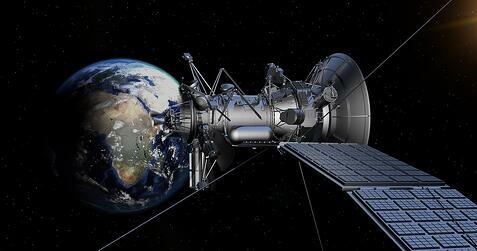 Ground stations are surface-based facilities which are designed to provide real-time communication with satellites. The crew at these stations send radio signals to the satellite (uplink), receive data transmissions from the satellite (downlink), and in some cases, serve as command and control centers for the satellite network. From the ground station, data can be analyzed (or relayed to another location for analysis), the altitude and movement of the satellite and information about its critical systems can be monitored, and satellites can be controlled by decision makers. If something goes wrong with a satellite, the crew at these stations will be the first to know. They will be charged with trying to identify the source of the problem and devise a solution. 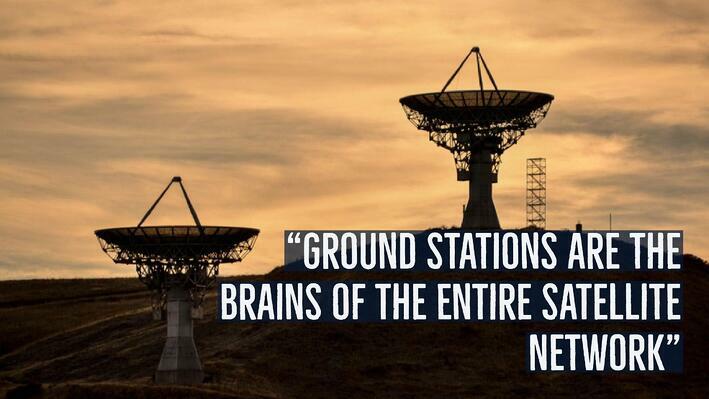 Simply put, the ground station (or network of stations) is the “brain” of the entire satellite network. The satellites themselves can be working fine, but it doesn’t matter if no one is down here on earth to put the data they collect and transmit to use and make sure the whole system is functioning properly. How do government-owned space agencies or private companies decide where to build their satellite ground stations? This is determined by the type of satellites being used, their orbital path and the coverage that is required. 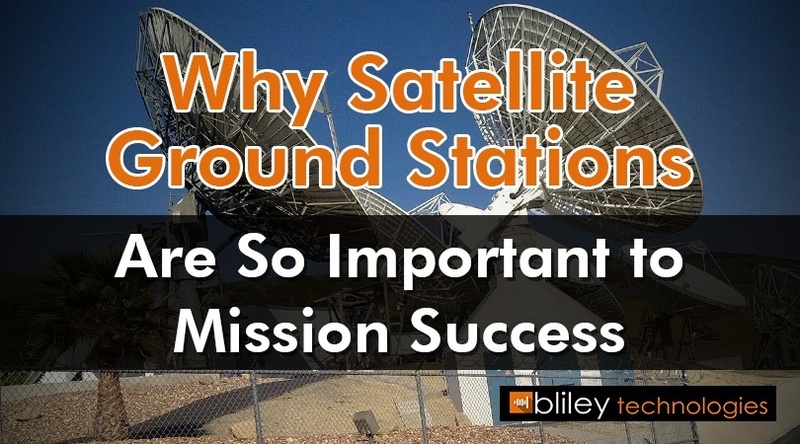 Oftentimes, the optimal locations for ground stations are not places where command and control or data analysis can be performed, so the mission data will have to be relayed to other ground stations or directly to end users at their location. Of course, even if everything is working fine at a given ground station, contact might be lost due to atmospheric conditions. This is where a “site diversity” strategy comes into play: Connecting to multiple stations at once is an effective way to get around rain fade which is interfering with communications at a specific satellite ground station. It is likely that as more Ka-band satellite systems become operational, more satellite ground stations will need to be built since this band is more susceptible to rain fade than lower frequencies. Design considerations for low earth orbit (LEO) systems are especially challenging because of their high orbital speed, typically making a full orbit every 90-110 minutes. Because of this, a ground station serving an LEO satellite can only communicate with it during the brief windows of time when the satellite is above the station’s horizon plane. This means that for multiple periods throughout the day, that station has no contact with the satellite. A cloud-based satellite antenna-sharing system. Infosteller, Inc. is designing a platform which has been described as a sort of “Airbnb for satellites”. The service will allow satellite operators to share the use of antennae at different ground stations so they can have greater communication access to their satellites without needing to build more stations. If successful, this could make LEO SATCOM operations much easier and more consistent— and potentially cheaper, since fewer ground stations would need to be built. There are SO many possible sources of frequency drift in satellites (and other common RF applications). These sources can completely throw off the desired frequency of your oscillators, and therefore, limit the functionality of the satellite. Don't worry...we got you! 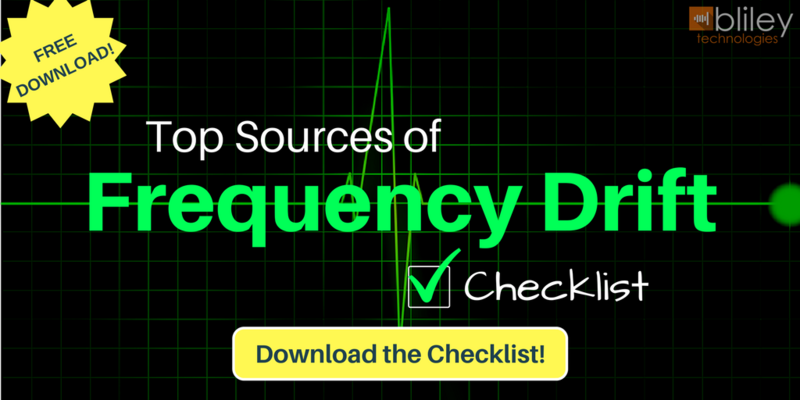 Download the free Top Sources of Frequency Drift Checklist below and make sure not to look over a frequency sucking source again!